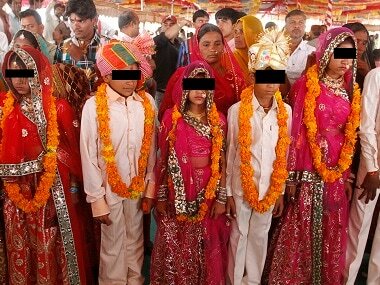 Bhubaneswar: With India recording around 3,600 child marriages every day, the National Human Rights Commission (NHRC) has asked states to adopt a zero-tolerance policy to curb the social menace and strictly enforce the Prohibition of Child Marriage Act, 2006. NHRC secretary general Ambuj Sharma told a regional conference on child marriage in Bhubaneswar on Thursday: "Marriage of children below 18 years is a major national issue. The main objective of this conference is to come up with a national action plan." Challenges faced by the enforcing agencies in the effective implementation of the Act and modalities needed for tracking, recording, reporting of child marriages would also be discussed at the meet, Sharma said. More than 40 percent of the child marriages in the world happen in India and 3,600 of them take place every day, an NHRC release said, citing National Crime Records Bureau data. But only a few cases are reported. In 2015 and 2016, only 293 and 326 child marriages were reported under the Prohibition of Child Marriage Act according to the NCRB data, the statement read. 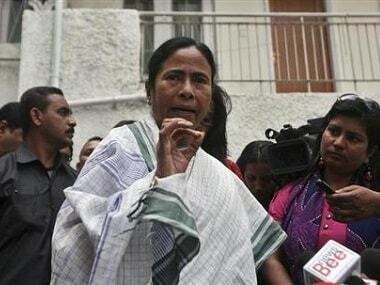 According to National Family Health Survey-4, 40.7 percent of the total marriages in West Bengal are child marriages. 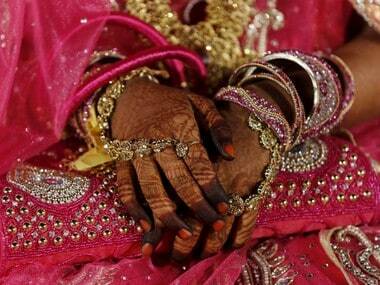 Bihar follows close behind with 39.1 percent child marriages. Jharkhand registered 38 percent child marriages and Rajasthan 35.4 percent. Punjab and Kerala are placed at the bottom of the table with 7.6 percent child marriages. Punjab has reduced child marriages by 61.42 percent and Kerala by 50.65 percent in the last 10 years. 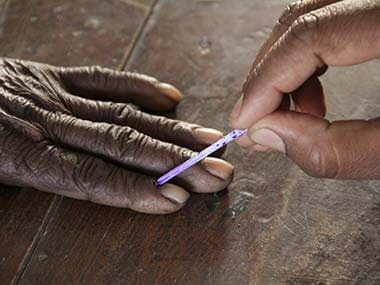 Godda in Jharkhand reported the highest number of such cases (63.5) followed by Garhwa (58.8) in the same state, Bhilwara (57.2) in Rajasthan and Malda (54.8) in West Bengal. Odisha ranks 13th in the list with 21.3 percent child marriages. The number of child marriages in Malkangiri, Nabarangpur, Mayurbhanj, Koraput, Rayagada, Nayagarh, Ganjam and Keonjhar is more than the national average of 26.8 percent, the release read. Odisha State Commission for Protection of Child Rights (OSCPCR) chairperson Kasturi Mohapatra said the Prohibition of Child Marriage Act should be amended to make all child marriages void, in the manner done by Karnataka. Odisha's Chief Secretary AP Padhi told the conference the government had been able to reduce the rate of child marriages in the state to 21.3 percent in 2015-16 from 37.2 percent in 2005-06. "Most of the women and girl child development programmes of the Odisha government are aimed at curbing child marriages. 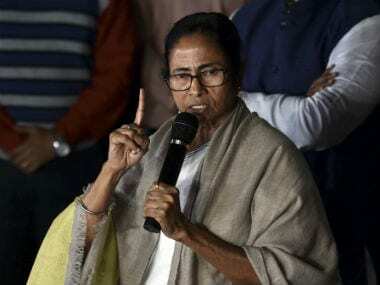 In tribal areas, hundreds of girls' hostels have been opened to accommodate tribal girls so that they can continue their education," Padhi said.